The center of tourist activity in Bethlehem is Manger Square. Perhaps you’ve seen it on television on Christmas Eve. 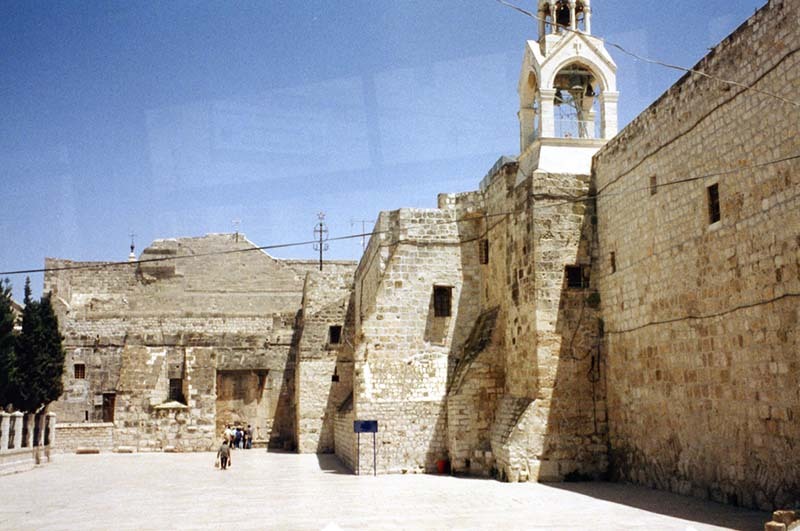 The main feature of Manger Square is the Church of the Nativity, built over the site where Jesus was born. Come on in and discover it for yourself! Click on the empty courtyard entrance.